Commuting in this mega city is a big trouble and there is no one to care about it. 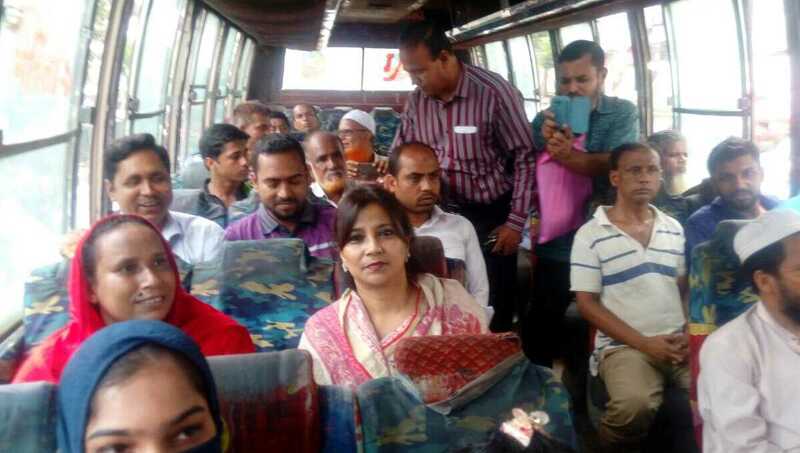 But State Minister for Information Tarana Halim has decided to go to and return from her office by taking public transport to feel the pinch of travelling like commoners. On Wednesday, Tarana Halim returned to her Gulshan home from her office at the secretariat in a public bus. Her Public Relations officer Enayet Hossain told UNB that she has taken the decision to feel the pains of hazardous travel the general people endure every day while commuting. “People always complain that MPs and ministers don’t face traffic jams. People expect the ministers also to commute by public transport at least once. Tarana Halim has decided to travel to and return from her office every day by taking public transport to feel their feelings,” Enayet added. He was, however, quick to say that the state minister will use official vehicle for attending important official works.